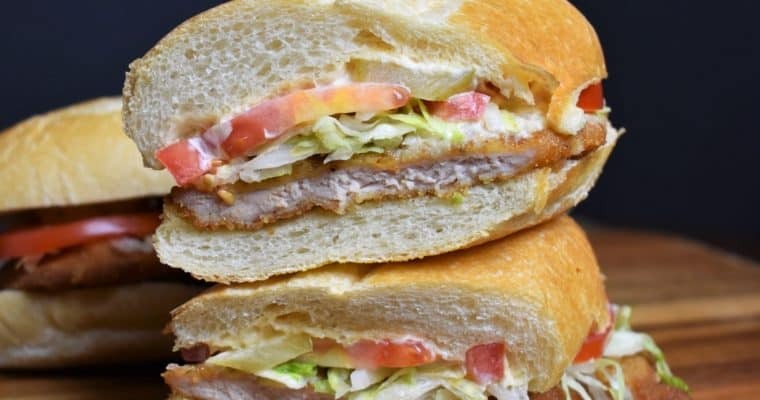 This fried chicken cutlet sandwich is so good you’ll crave it again and again. They’re great sandwiches to make on a weekend night and enjoy with a cocktail (or two). Perfectly seasoned chicken cutlets are breaded and fried until golden and crispy. 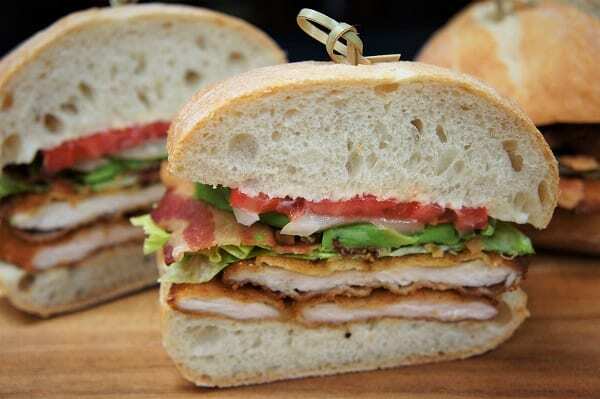 Then they’re layered on ciabatta bread and topped with crispy bacon, lettuce, tomato, onions and avocado slices. Oh, so good! Oven preparation: Preheat oven to 350°F. Line a large baking sheet with parchment paper. Arrange the bacon on the baking sheet, without overlapping. Cook the bacon for approximately 25-30 minutes, or until it’s cooked and crispy. Remove the bacon from the oven, transfer to a pan or plate lined with a paper towel. Set aside. Note: If you’re using the oven, make sure it has time to cool off before putting the chicken cutlets in to keep warm. Stovetop preparation: Add the bacon to a large skillet, without overlapping. Cook the bacon over medium heat until it’s cooked and crispy, turning occasionally. Remove the bacon from the skillet and transfer to a pan or plate lined with a paper towel. Set aside. Add the salt, garlic powder, onion powder and black pepper to a small bowl. Stir the seasoning to combine well, set aside. Sprinkle the chicken cutlets on both sides with about half of the seasoning mix, set the other half aside. Use a large baking sheet (or a couple of plates) add the flour to one side and the breadcrumbs to the other. Season the breadcrumbs with the remaining seasoning mix. Combine well using a fork. Crack an egg or two into a medium bowl, scramble well using a fork or small whisk, set aside. Working with one piece of chicken at a time, lightly coat both sides with the flour. Shake off the excess. Next, dip the chicken cutlet in the egg mixture; make sure the chicken is evenly moist. Then, place the chicken in the breadcrumbs, apply an even coating and gently shake off the excess. Place the breaded chicken on a clean pan or plate and repeat with the remaining pieces. If you’re stacking the chicken cutlets, use a piece of parchment paper in between them so the coating doesn’t stick to itself or flake off. Cover the bottom of a large, deep skillet with about a ½ an inch of oil. Heat the oil over medium-high. When the oil is hot, but not smoking, add about half the chicken cutlets to the skillet (depending on their size) do not overcrowd the pan, fry in batches. Fry the chicken for about 1½ – 2 minutes per side, or until they’re golden brown (use tongs to turn the chicken so the breading does not flake off). Remove the chicken from the skillet and place them on a baking sheet lined with a cooling rack; this will prevent the breading from getting soggy. Repeat with the remaining pieces. When you remove each batch from the oil, take the internal temperature and make sure it’s at least 165°F. Keep the chicken in the warm oven until ready to build the sandwiches. When you’re ready to build the sandwiches, remove the chicken cutlets from the oven and cut them roughly the size of the ciabatta bread. Divide the chicken evenly and stack it on the bottom half of the rolls, you should get about 2 pieces per sandwich. Top with 3-4 bacon pieces, a lettuce leaf, one or two slices of tomato, about three thin slices of avocado and a couple of onion slices. Spread a generous helping of the mayonnaise on the top bun and cover the sandwiches. Secure with a couple of toothpicks, cut the sandwiches in half and serve. If you’re using purchased cutlets, make sure they are about ¼ to ½ inch thick, if they’re any thicker; pound them down using a meat mallet. If you’re starting with whole boneless chicken breasts, butterfly the breasts. 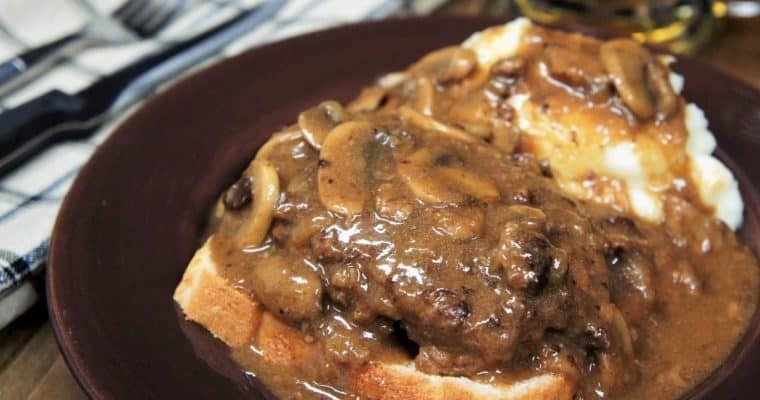 Then, pound them down using a meat mallet until they’re about ¼ to ½ inch thick. Prep the avocado last so it doesn’t brown. Cut the avocado in half lengthwise, going all the way around. Give the avocado a gentle twist; you should be able to separate the two pieces. One of the pieces will have the seed attached. Pry it out gently. Rejoin the two halves until ready to use; this will slow down the browning process. When you’re ready, remove the peel from the avocado. It should come off fairly easy, grab an end and gently bend it backwards. Cut the avocado into thin slices.